Belle Haven is a upscale waterfront community southwest of downtown Greenwich, Connecticut. Bell Haven Landowners Association manages the secure, private neighborhood for its residents. Most of the 110 residence are large four-five bedroom, single-family homes in the 06830 and 06831 zip codes. Belle Haven is perfectly situated for both home and work, just 5-10 minutes from the Greenwich Train Station and with I-95 easily accessible. Belle Haven is a safe, quiet, coastal neighborhood on Long Island Sound. The Belle Haven and Field Point Park Association are private association enclaves with speed-controlled streets and security. Local Belle Haven Club is a private membership club. Belle Haven is a nautical community in that it’s historic, densely populated, walkable, and on the water. Waterfront homes in Belle Haven are magnificent and among the most expensive in the area. 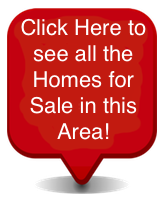 Many people who come to the area for a visit, to take in the stunning scenery, find themselves purchasing property in the area. The feeling is cozy and inviting. 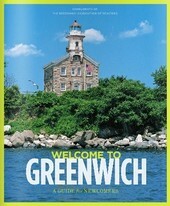 Condominiums, townhomes, and single-family homes are the types of real estate available in Greenwich. The average listing price for a condo is about $1,478,394 but prices can go to approximately $4,995,000. The average listing price for a single-family home is around $4,183,933 but price can go upward to $49,895,000 for homes set on expansive acreage and having luxurious amenities such as staff apartments, tennis courts, putting greens, seasonal guest house, wood paneled libraries, and more. Contact us today to answer any questions or to schedule a private showing of any of our exceptional properties in Belle Haven, Greenwich, Connecticut.